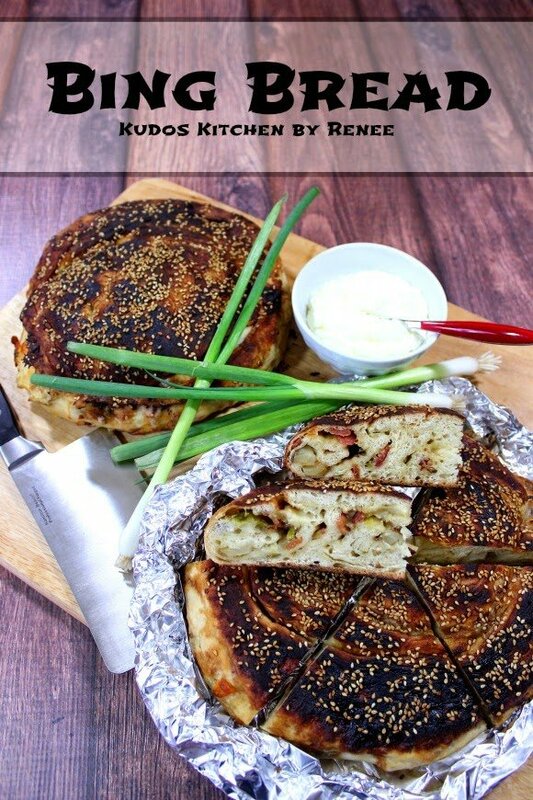 Chinese Bing Bread is a yeasted sweet and savory flat bread that’s filled with potato, bacon, green onion and cheese. 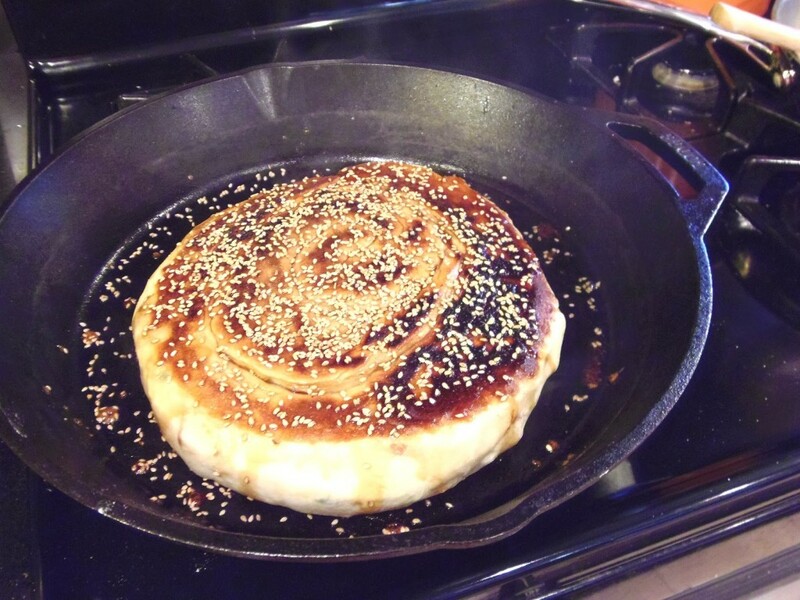 Topped with soy sauce and sesame seeds, bing bread is best when grilled in a cast iron skillet for an amazing outer crust, and finished in the oven. Hi everyone! 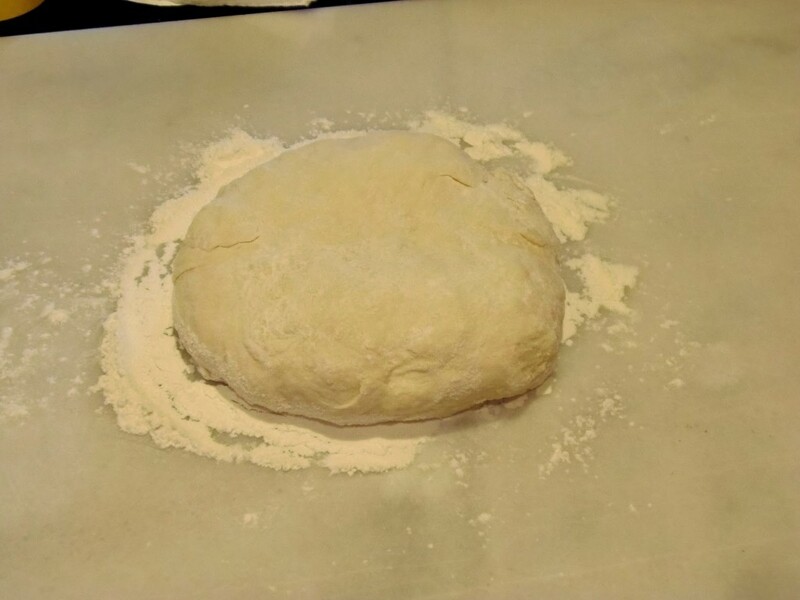 With today being Chinese New Year, I wanted to share this amazing recipe for Chinese Bing Bread with you that I originally found in a copy of Bon Appétite magazine (and also on their website). The moment I laid my eyes on this bread (served at the restaurant called Parachute in Chicago) I knew I had to make it. 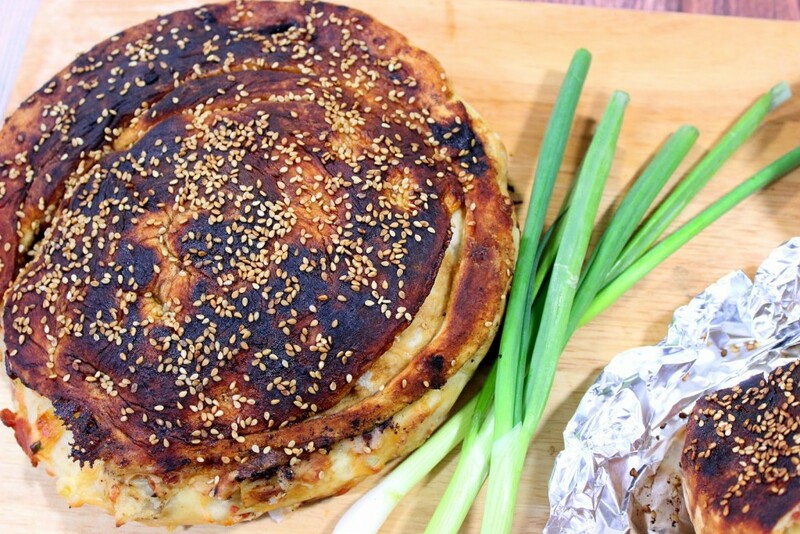 Also known as a scallion pancake, Chinese Bing Bread (or Con You Bing) can be filled with whatever fillings you wish to use. However green onions (also know as scallions) are the gold standard in fillings, and naturally what makes a scallion pancake (aka Bing Bread), a scallion pancake. I’ve adapted the recipe I found in Bon Appétite magazine ever so slightly with the following substitutions: I used Greek yogurt in place of the sour cream for the finishing butter, and I substituted mozzarella cheese for the white cheddar in the filling. Other than that, the recipe is just as I found it. This recipe takes a bit of time to make and includes several different (but not difficult) steps. However, I assure you that it’s well worth the time and effort you’ll spend making this amazing sweet and savory yeasted bread. Plus, the fact that it makes two loaves means you can feed a hungry crowd, or eat one now and put one in the freezer for later. BING! 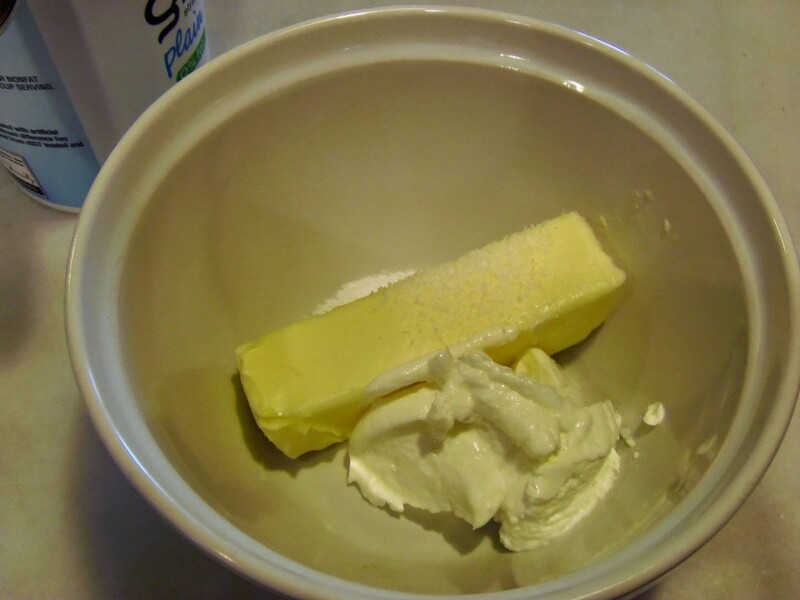 Cream together the softened butter, Greek yogurt and salt. Set aside until the bing bread is ready to serve. Dice the potato and toss with 1 tablespoon grapeseed oil, ½ teaspoon salt and ¼ teaspoon pepper. Roast in the oven until tender. Set aside to cool. 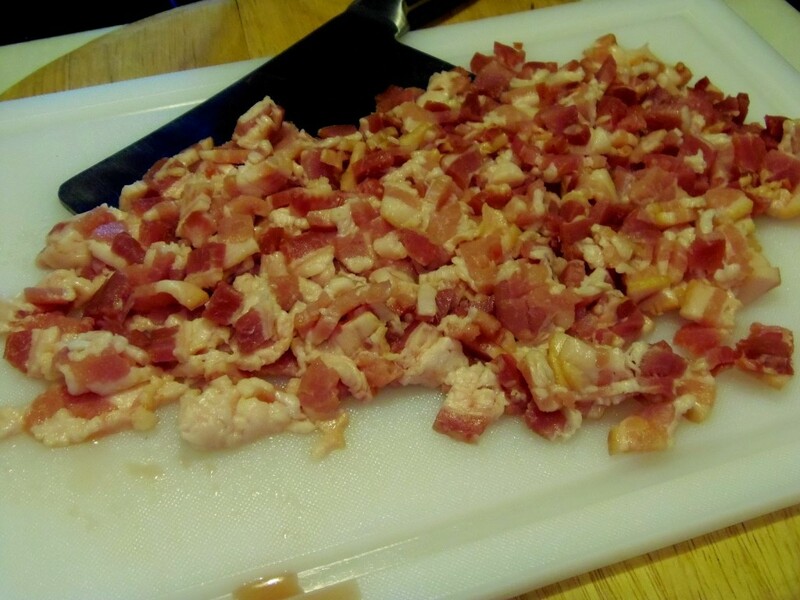 Chop the bacon and fry until crispy. Drain and set aside. Dissolve the yeast in the warm water and 2 tablespoons of sugar. Let sit until foamy. Add the flour to a large bowl. Stir in the yeast mixture to form a shaggy dough ball. Knead by hand a few minutes. 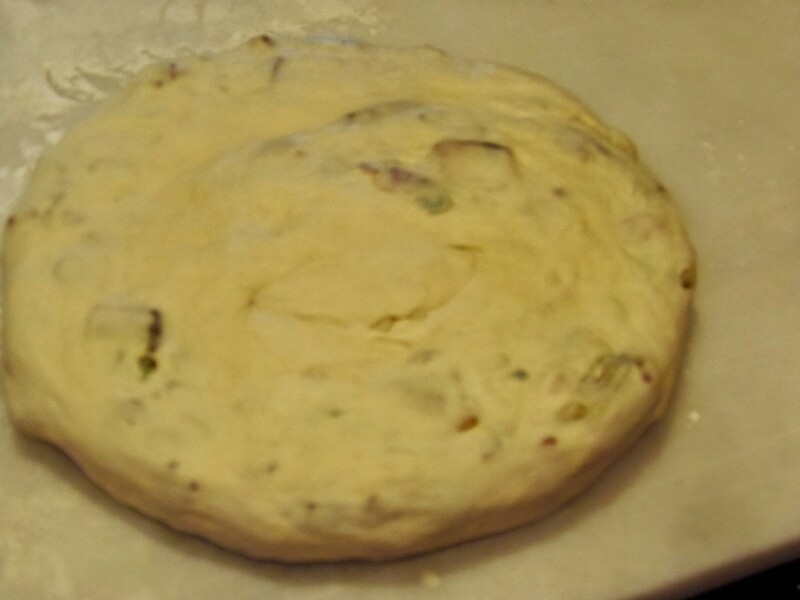 Return the dough to the bowl, cover and place in a warm draft free place to rise and double (approximately 1 hour). 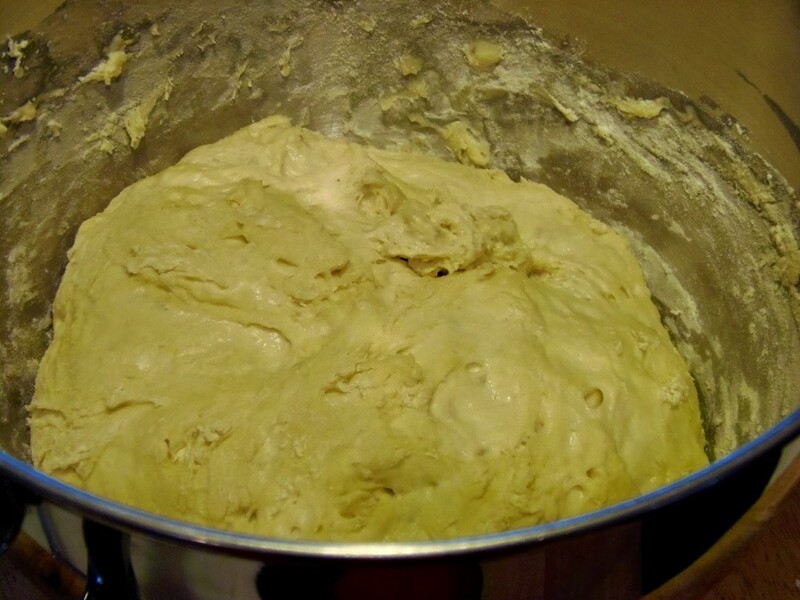 Once risen, turn the dough out onto a lightly floured surface and divide into two equal pieces. 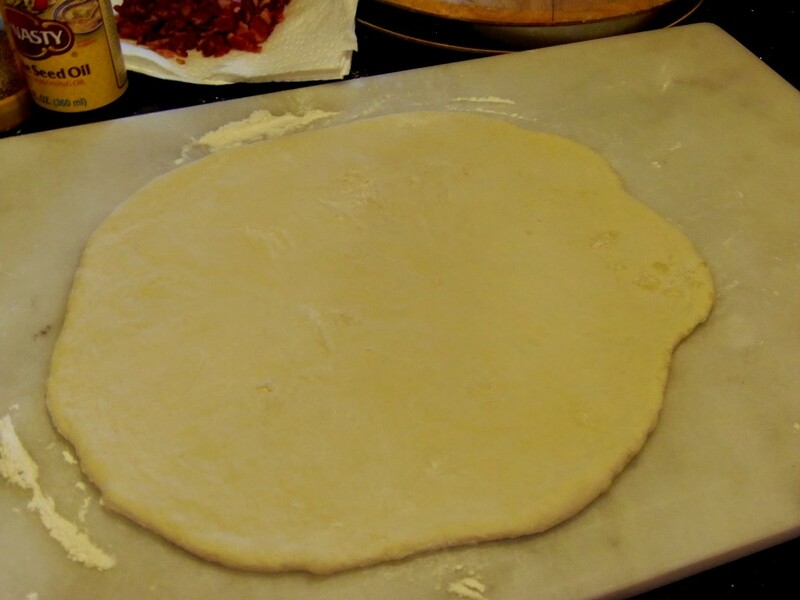 Roll out each piece of dough to form roughly a 13″ round disc approximately ¼” thick. 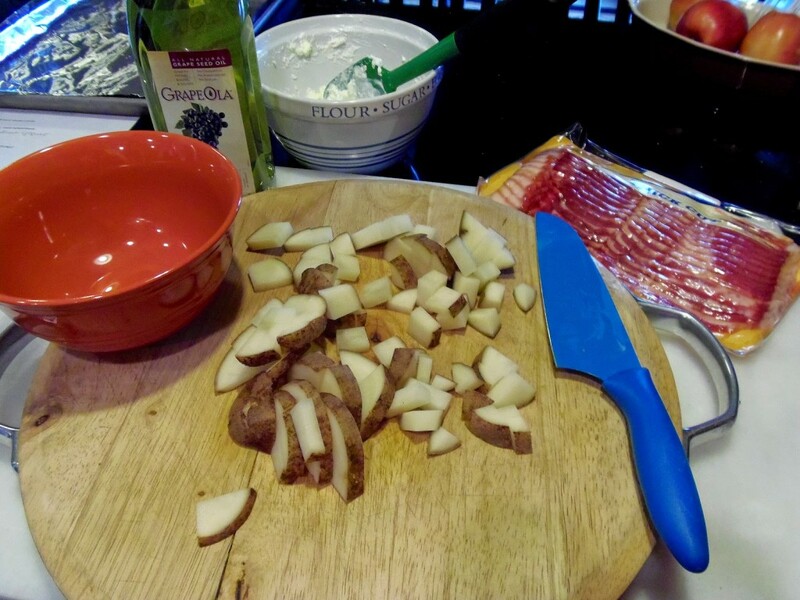 Drizzle and spread 1 tablespoon of sesame oil evenly over each disc and top each disc with half of the roasted potatoes, half of the green onions, half the bacon, half the shredded cheese and a pinch of black pepper. 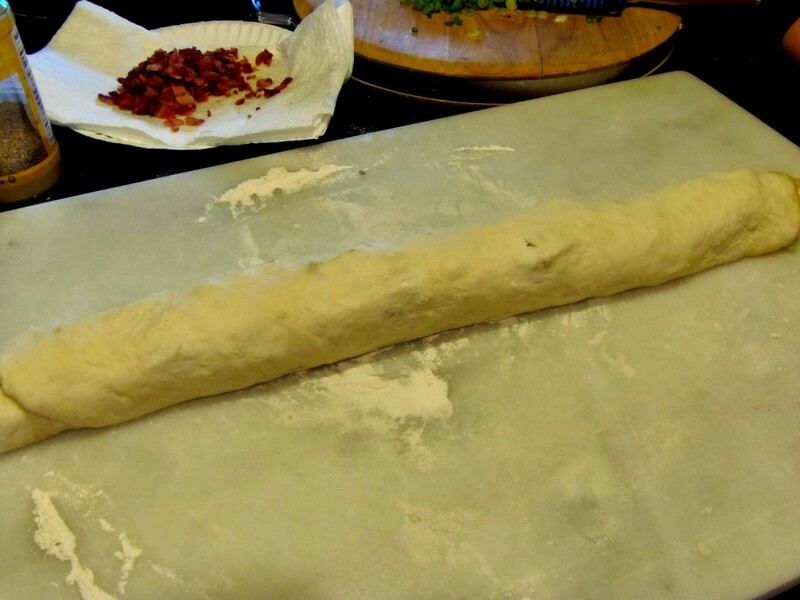 Roll the dough like a jelly roll (stretching it gently after its fully rolled to elongate the roll and even out the thickness). Starting at one end, coil the roll to form a large spiral. Gently flatten the spiral with you hand to form a 9-10″ circle. Set aside and follow the same procedure with the second half of the dough. 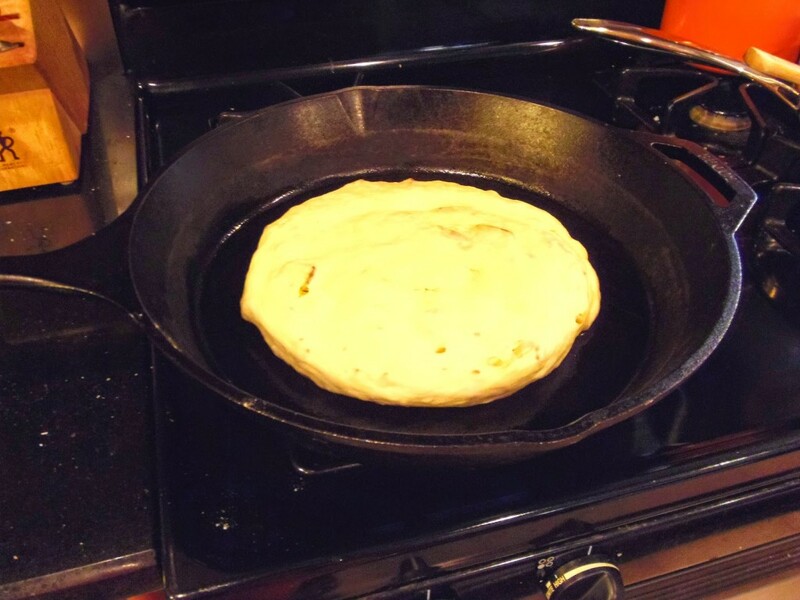 Preheat a large cast iron skillet (or any oven proof skillet) over medium/high heat. 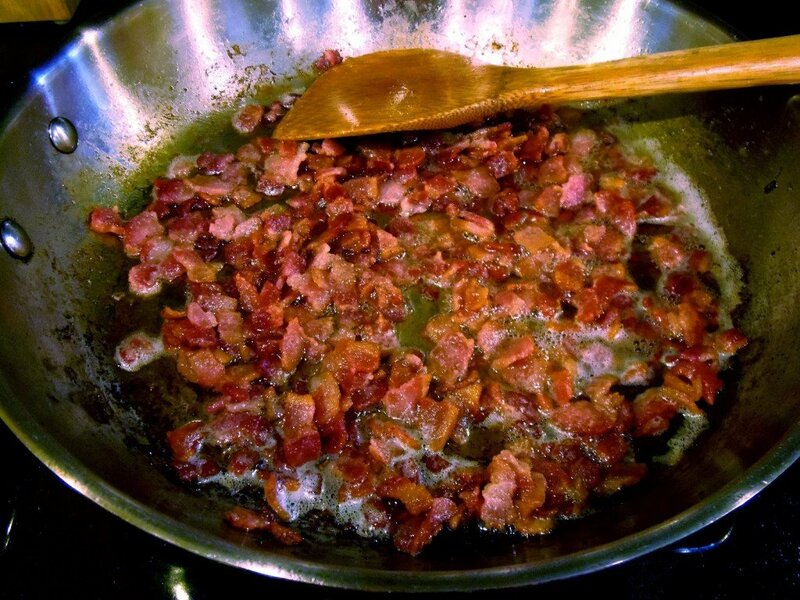 Place 1 tablespoon grapeseed oil in the skillet. 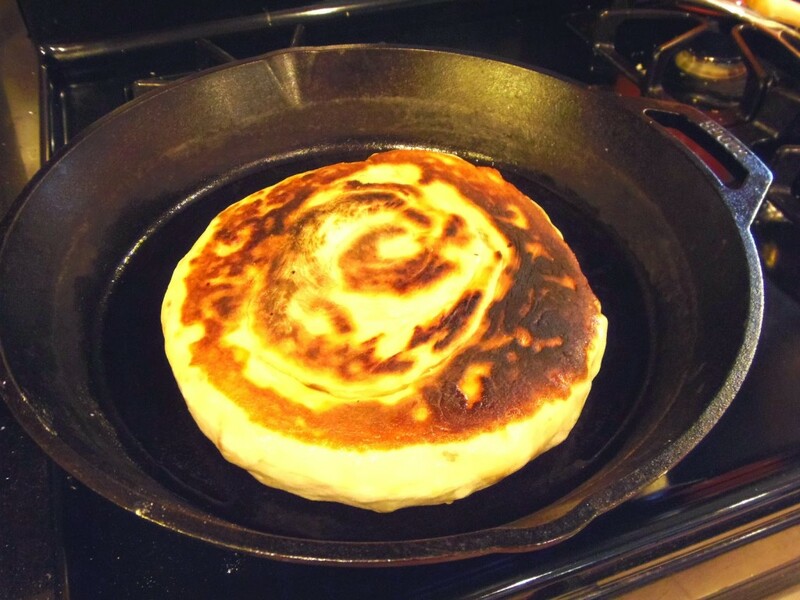 Carefully add one of the spiraled bread into the skillet and cook until the bread is a deep golden brown. Carefully flip and continue to brown the other side. Brush one side of the bread with the soy sauce/sugar mixture and sprinkle with sesame seeds. Transfer the skillet to a preheated 375 degree and bake until cooked through (approximately 13-15 minutes). 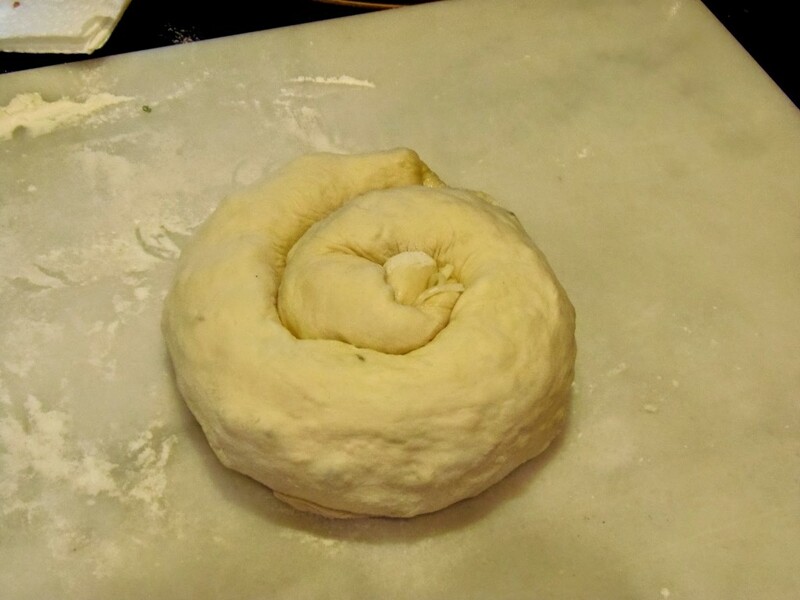 Continue the same process with the second spiraled bread. -In a small bowl, mix together the softened butter, Greek yogurt and salt. Refrigerate until ready to serve. 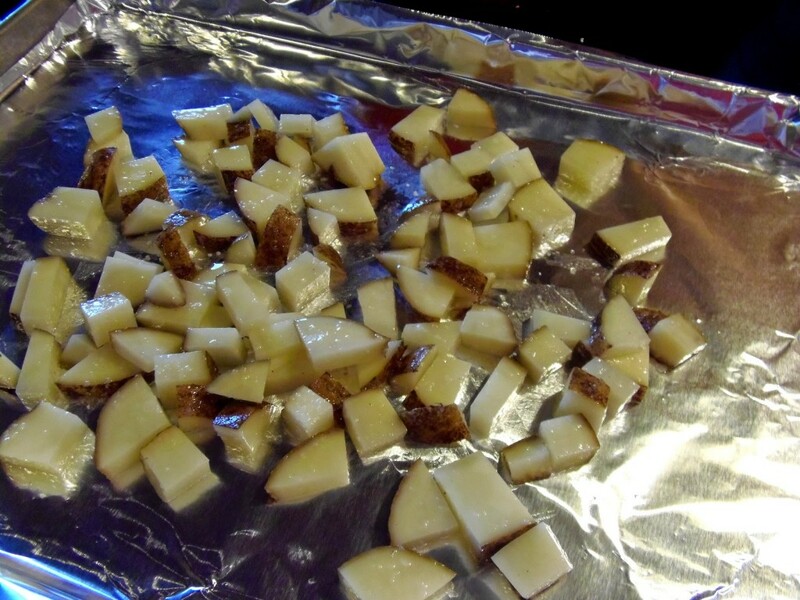 -Toss the cut potatoes with 1 tablespoon oil, ½ teaspoon salt and ¼ teaspoon pepper. 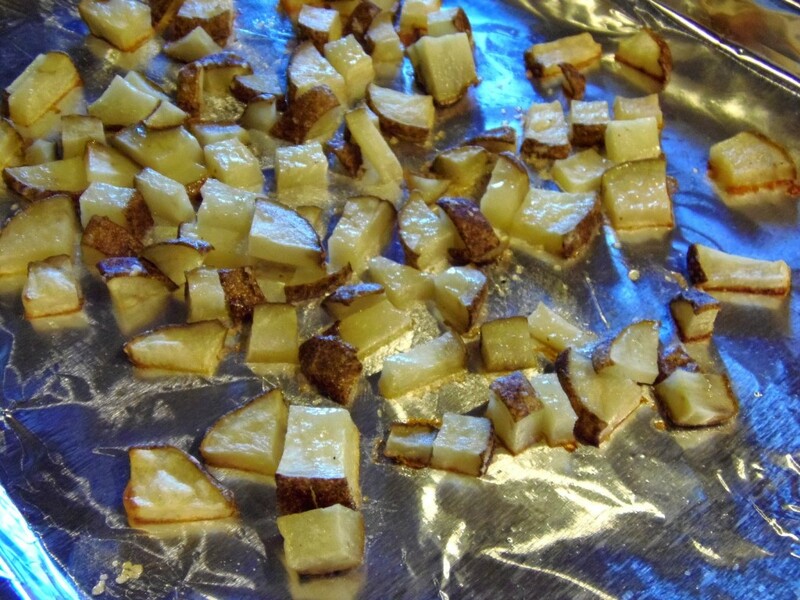 Spread the potatoes evenly on a baking sheet and roast in a preheated oven until lightly golden and softened. Set aside. 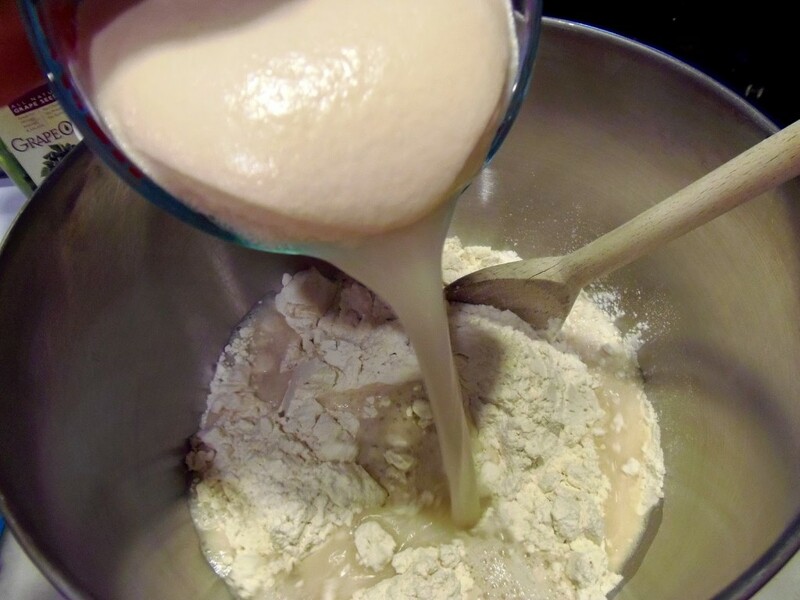 -Dissolve the yeast in a small bowl. Stir in 2 tablespoons sugar and allow the mixture to get foamy (approximately 5 minutes). Place the flour in a large bowl with 1 teaspoon salt. 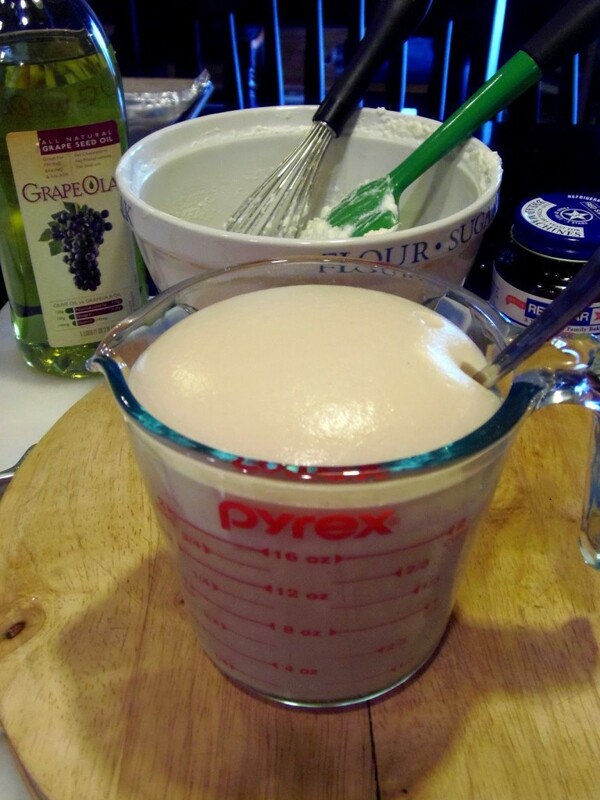 Use a wooden spoon to stir in the foamy yeast mixture until the dough forms a shaggy ball. 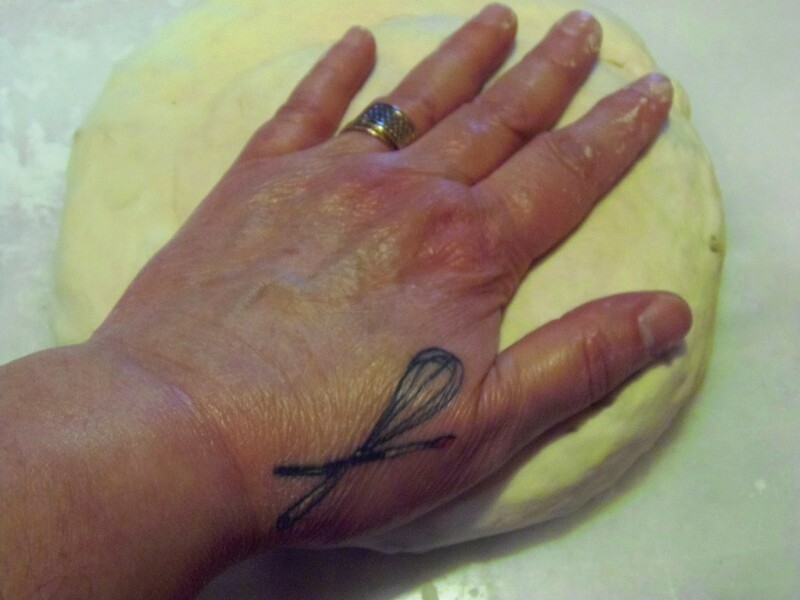 Turn the dough out onto a lightly floured surface and hand knead the dough for 2-3 minutes. 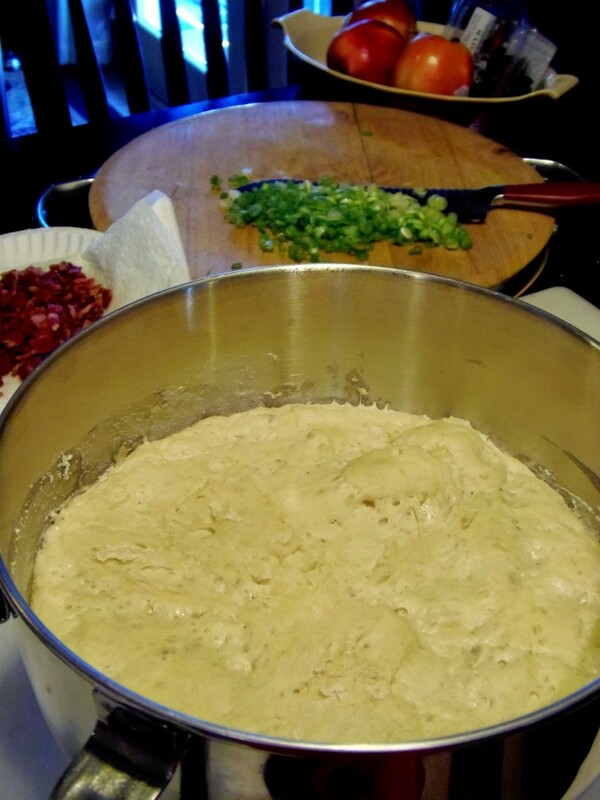 Return the dough to the bowl, cover with plastic wrap and allow the dough to rise in a warm, draft free place until doubled (approximately 60 minutes). -Divide the dough into two equal pieces. Roll each half out onto a lightly floured surface to form an approximate 13″ round circle (roughly ¼” thick). 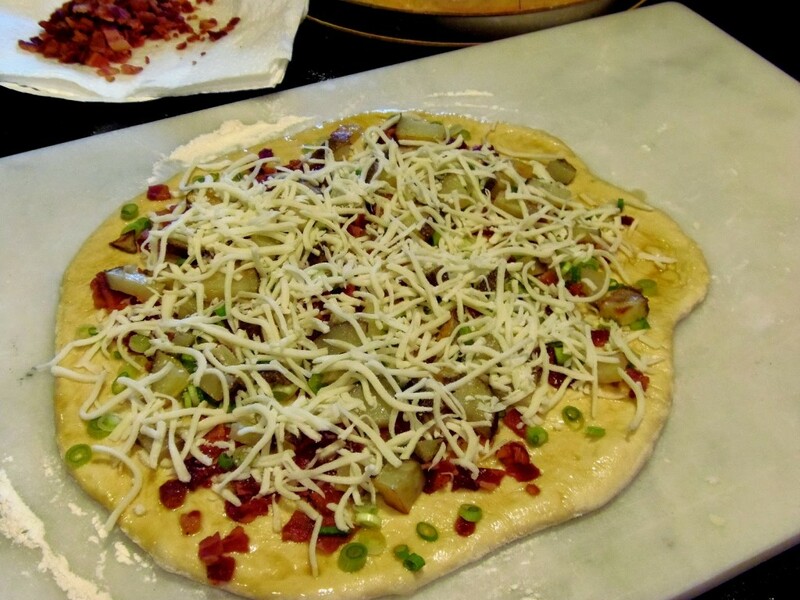 Drizzle and spread the dough circle evenly with 1 teaspoon sesame seed oil, half the roasted potatoes, half the green onions, half the bacon, half the shredded cheese and a sprinkling of black pepper. 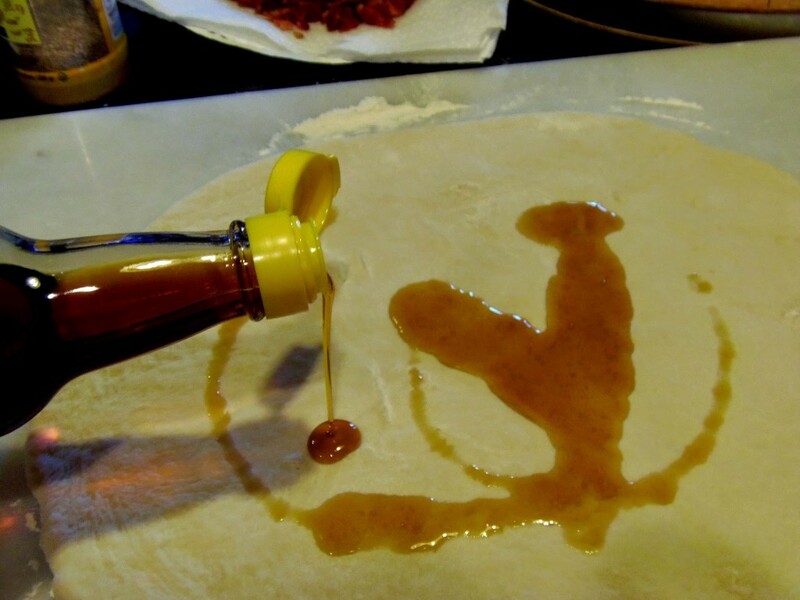 -Roll the dough like a jelly roll. 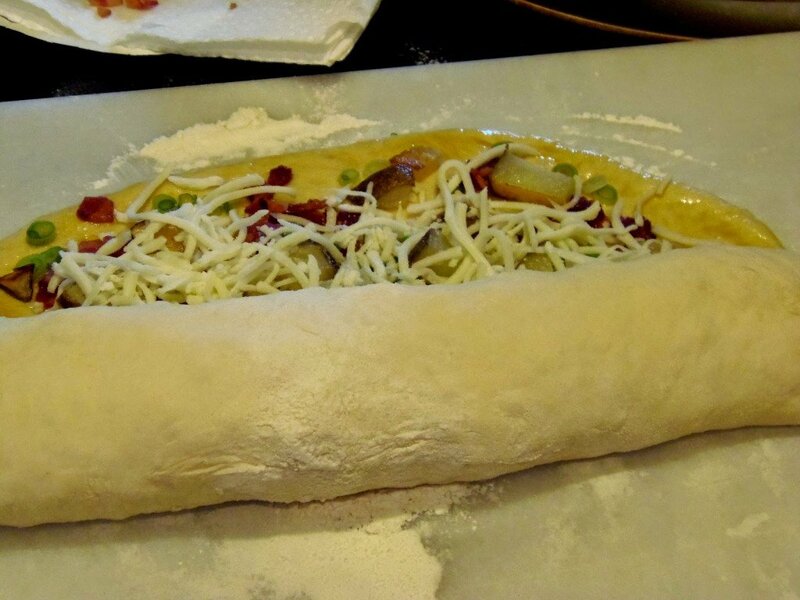 Once fully rolled, carefully and gently stretch the dough to elongate and even out the thickness. Starting at one end of the roll, coil the dough for form a large spiral. Gently flatten the spiral with your hand to form an approximate 10″ disc. 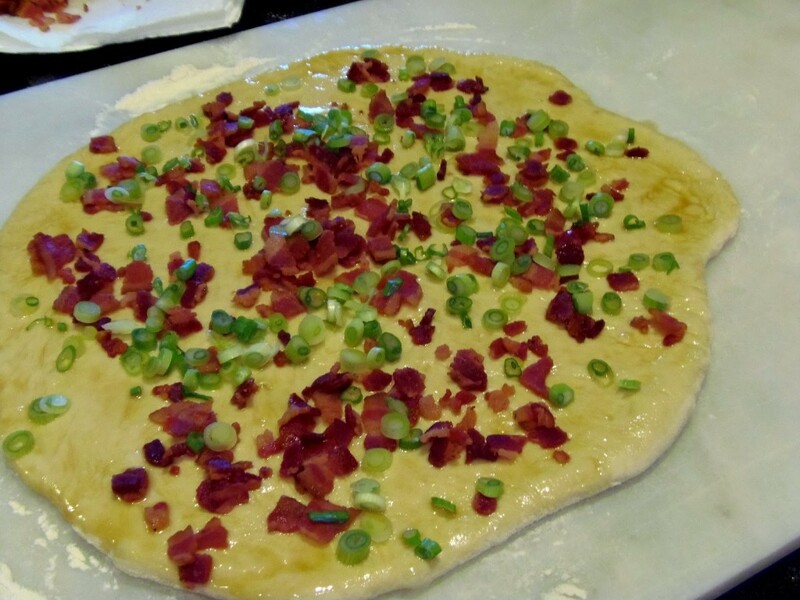 Continue the same process with the other half of the dough and the remaining ingredients. 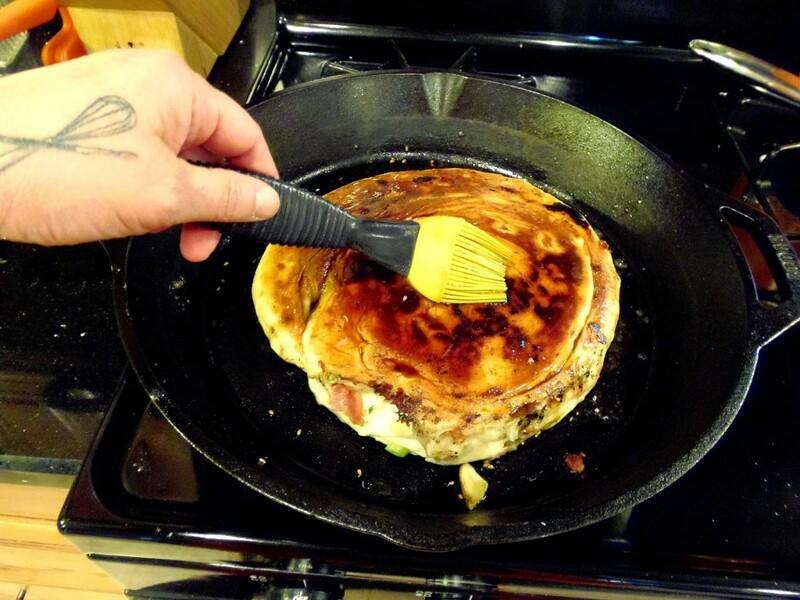 -Heat a skillet (cast iron is preferred) over medium/high heat. Add 1 grapeseed oil and carefully add one of the rolled discs until golden brown. Carefully flip the bread to completely brown the other side. 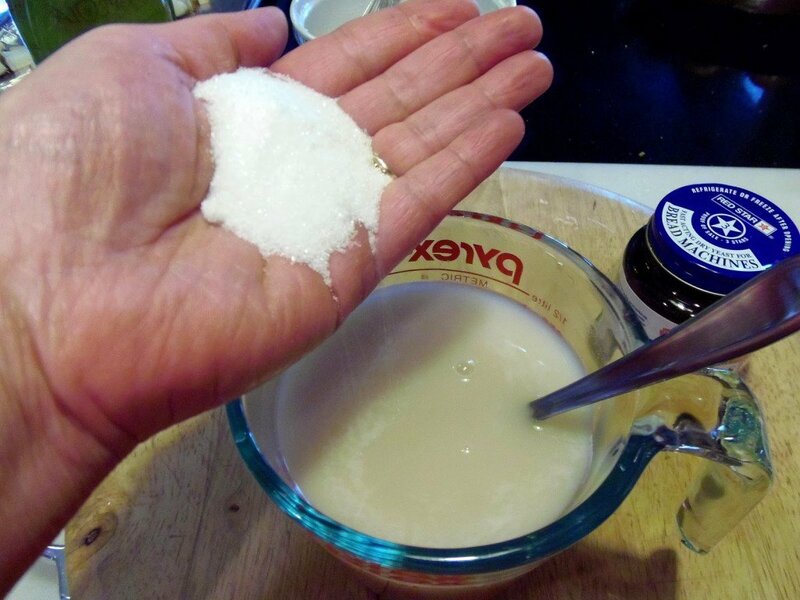 -Meanwhile in a small bowl, whisk together the soy sauce and 1 tablespoon sugar. -Brush one side of the browned bread with a liberal amount of the soy sauce mixture and sprinkle with 1 tablespoon sesame seeds. -Place the skillet into a preheated oven and bake for approximately 13-15 minutes until cooked through. Remove and repeat the same process with the second coiled disc. 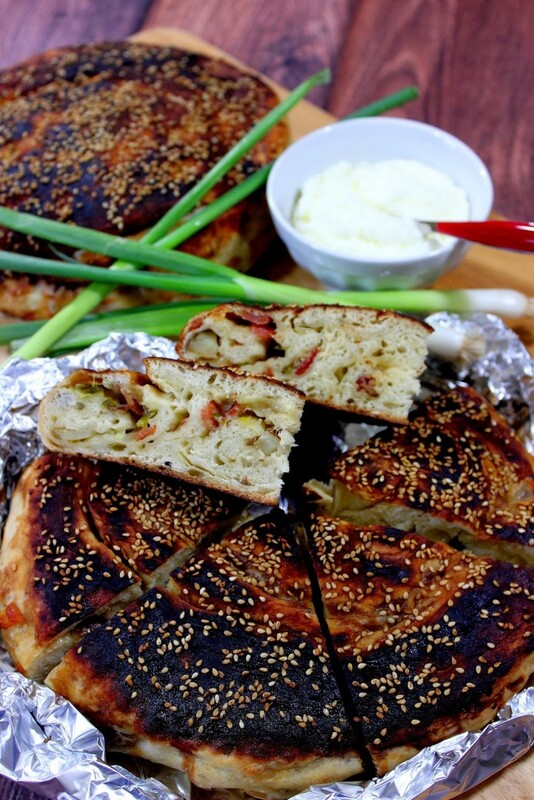 -Bing bread is best served warm, cut into wedges, along with the yogurt butter. If there is ever anything I can paint for you, please don’t hesitate to contact me or visit my shop. Custom orders are always welcome and I will happily work from any photo or description you send my way. where has this been all my life? Wow it looks amazing. 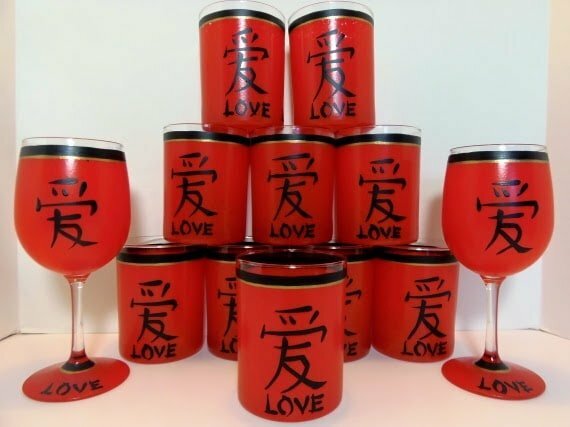 This looks awesome – perfect for the Chinese new year!! I like the substitution of the Greek yogurt for the sour cream. 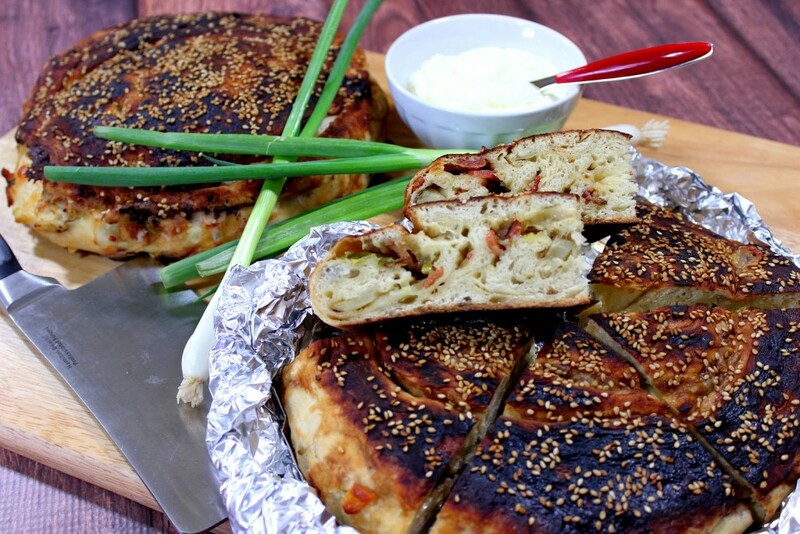 I've never heard of bing bread but, wow, does it look amazing! Fantastic way to celebrate Chinese new year. 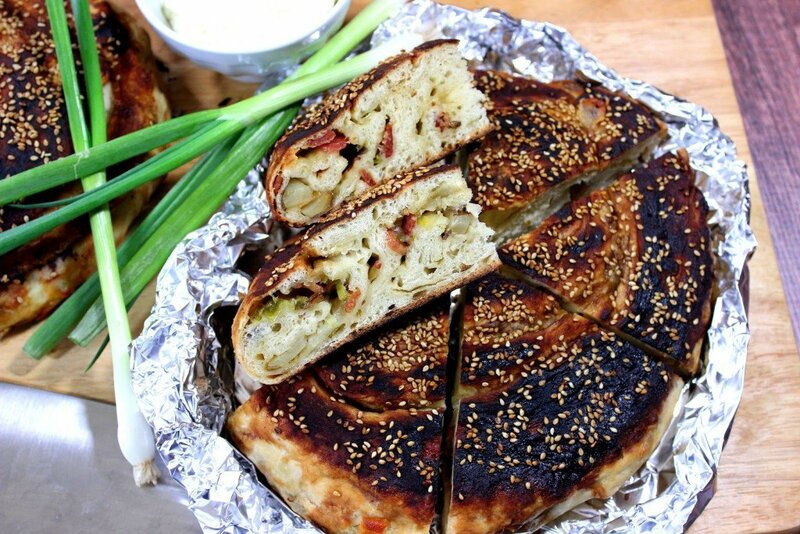 I absolutely adore scallion pancakes (I hadn't heard the name Bing bread before…you learn something new everyday), but I haven't actually made them at home. That needs to change! This looks perfect for Chinese New Year! 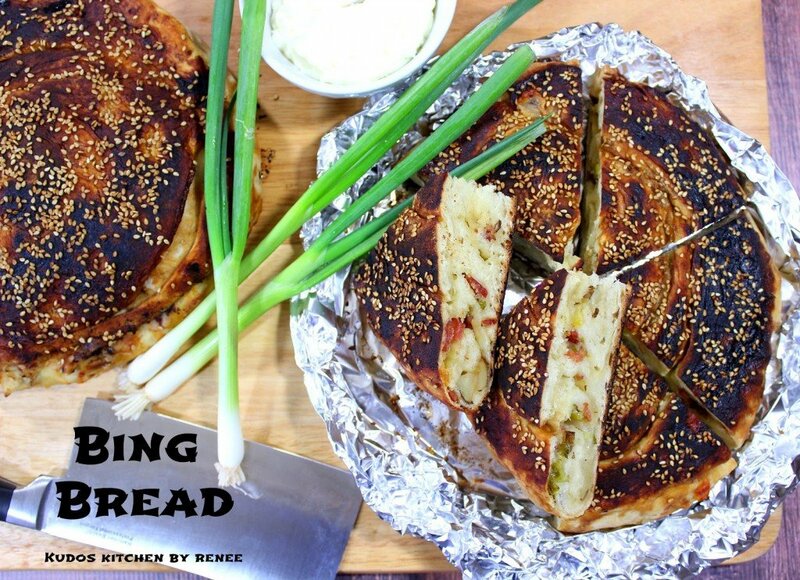 I've never heard of Bing Bread before, but this looks amazing! This bread sounds divine!! Must try soon! One of my preschool kids had something like this in his lunch box and a I wondered what it was, it looked so good! Definitely need to try it! WOW – What an interesting bread! Looks delicious – and perfect for Chinese New Year! I have never heard of Bing Bread before but it looks fantastic! Definitely something I want to try. This bread is gorgeous! Love that it's stuffed with such savory goodness and glazed with soy. I love you bread talent.